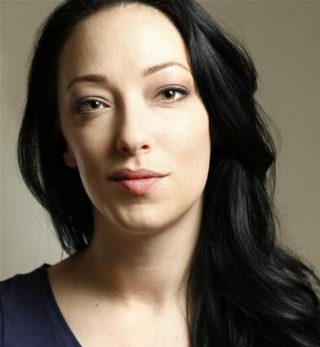 Bio: Amelia is a highly experienced voice and full performance capture actor. Recent roles include Malady in 'Divinity Original Sin 2' (Larian Studios), Nyrissa in ‘Pathfinder: Kingmaker’ (Owlcat Games), Cooper in ‘The Spectrum Retreat’ (Ripstone), plus multiple roles in 'Battlefield V’ (EA), ‘Assassin’s Creed: Odyssey’ (Ubisoft), Star Wars Battlefront II' (EA), 'Elite Dangerous: Horizons' (Frontier Developments), ‘Forgotton Anne’ (Throughline Games) and ‘We Happy Few’ (Compulsion Games). Next year she will be appearing in several indie and AAA games, including playing the lead role of Scarlet in 'The Occupation' (White Paper Games). Commercial clients include Mercedes Benz, Sony, The Brit Awards, Lexus, Cancer Research UK, BBC, Sky and Disney. Description: Amelia specialises in video game characters, she's also known for her video game military roles. Her neutral, RP or natural lilting Midlands accent is perfect to create unique, unforgettable characters for any voiceover job. Alluring, elegant, velvety and effortlessly versatile.